Chief Executive Officer for Fiji Revenue and Customs Service Visvanath Das. The Fiji Revenue and Customs Service will introduce a Code of Conduct for all customs agents that will come into effect from January 2019. This is being done for local agents to be­come more responsible towards goods that have been entering the country under dif­ferent classifications with the aim to avoid paying higher duties. “Under this new Code of Conduct, local agents will also be fined if it is found that goods have been falsely classified and they have not detected or declared,” FRCS chief executive officer Visvanath Das told the Customs Brokers and Forwarders Council of Fiji at Tanoa International Hotel in Nadi on Saturday. The timing to introduce this legislation will coincide with the renewal of customs officers’ licenses. Mr Das said: “It is the responsibility of the agents to inform the exporters or their clients from overseas to make declarations and classifications of goods. “All these things have an impact on the duty of goods. 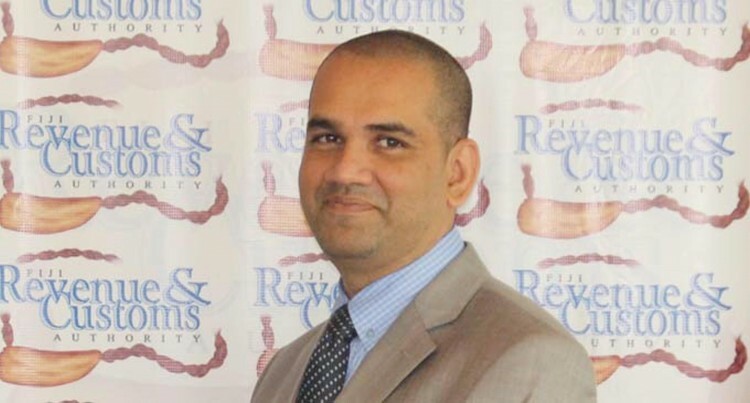 Mr Das said because of this, FRCS is pres­ently raising awareness and having educa­tion modules which all customs agents have to sit annual refresher courses. “We are developing the Code of Conduct because we license our customs agents. “So while they serve their clients they have got to be compliant with customs laws. Mr Das said there had been numerous complaints of customs agents sitting on their documents and their goods were ei­ther stuck at the wharf or airport. “Then we find out that the documents are incompletely filled and we can’t do much as the problem is with the agents. “By doing this the customs agents are misrepresenting us (FRCS) and misleading their clients by saying their (clients) docu­ments are stuck with FRCS. “Under the Code of Conduct we are look­ing at giving the agents a three-year license instead of having it renewed annually. “However, FRCS will review these licenses on an annual basis and if there is any mis­conduct with any agent then that agent’s license will be cancelled. Present laws but under the Code of Con­duct the law will be much more detailed. Mr Das said some of these false declara­tions had been deliberately done. An example was the importation of fin­ished clothing, which has a duty of 32 per cent but being classified as raw material or bales of cloth by the manufacturers and which only as a duty of five per cent. Mr Das said why finished clothing had a higher duty was that Government wanted ordinary women in villages and rural areas to buy raw materials or bales and cloth and make clothes to earn money for themselves. Present fines for such false declarations were $25,000 or 10 years imprisonment and these targeted importers. Meanwhile the council’s present office bearers were re-elected into office.